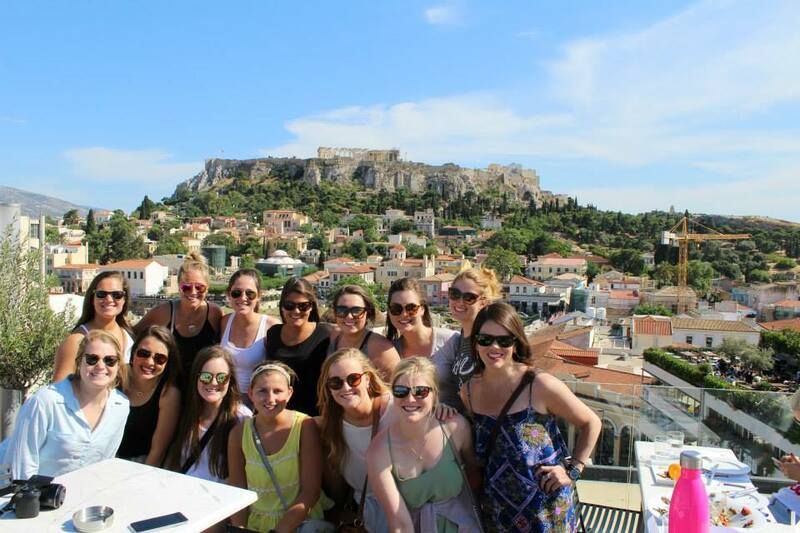 Courtney Rattikin, a junior at the University of Texas at Austin, shares her must-do’s for Athens! Don’t miss out! You can hardly see this lake because it is tucked away on the opposite side from the beach. Even though it was a cloudy day when I went, it was still gorgeous. The water is relaxing and the fish give you a pedicure! This rooftop bar and restaurant overlooks the Acropolis and Monastiraki Square. If you want a nice lunch or a sunset dinner, this is the place for you. Another place just around the corner is 360. However, 360 is not as high up as A for Athens, but still amazing. Everyone needs a pair of handmade leather sandals from Greece! This tiny shop is hard to find, but you do not want to miss this. It is located in Monastiraki Square and has been open for over a 100 years. You might have seen them in magazines because even Sarah Jessica Parker has them! They are beautiful and super comfortable. Although the name sounds funny, this outdoor garden bar has the best drinks. Whether you want a cold cappuccino or a fancy cocktail, this is your place. The atmosphere is wonderful. Who know there was gelato on every corner? Anywhere you find gelato in Greece, it will be amazing. There is even one right next to A for Athens.